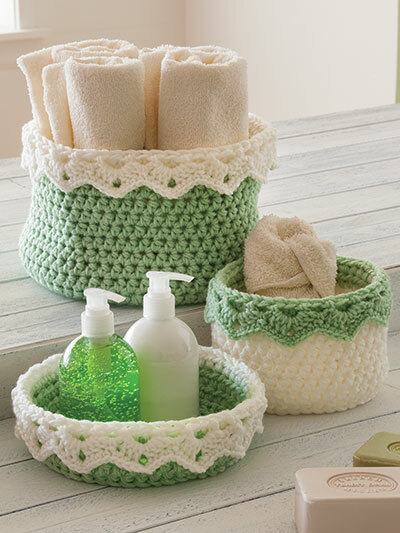 These baskets can be used to create handy storage units, decorations or thoughtful gifts. 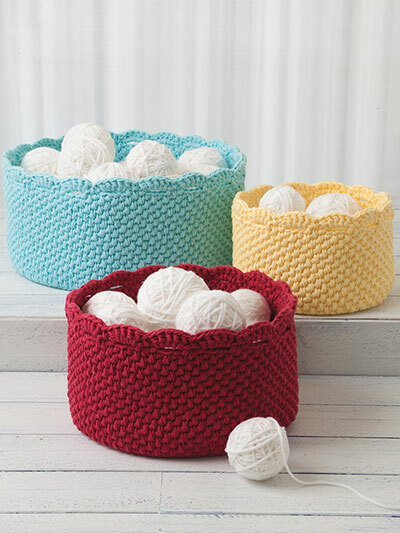 The 14 different shaped baskets are made using a #3 Dk-, #4 medium- (holding 2 strands together) and #6 Super Bulky-weight yarns. 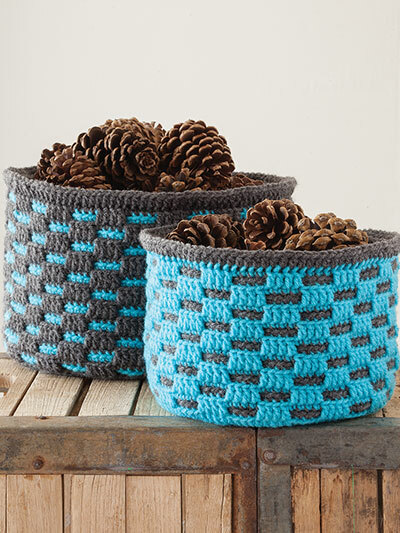 The patterns for these baskets are easy to follow. 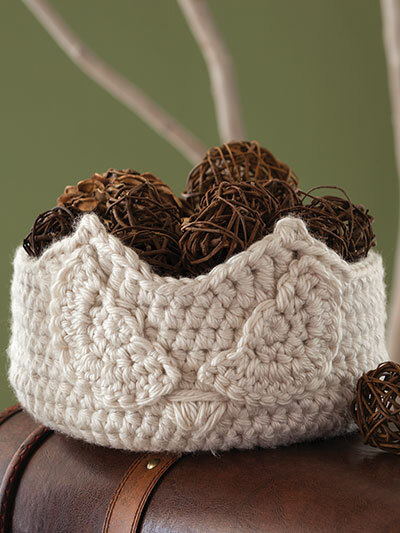 I love the fact that they are in different weight yarns too. 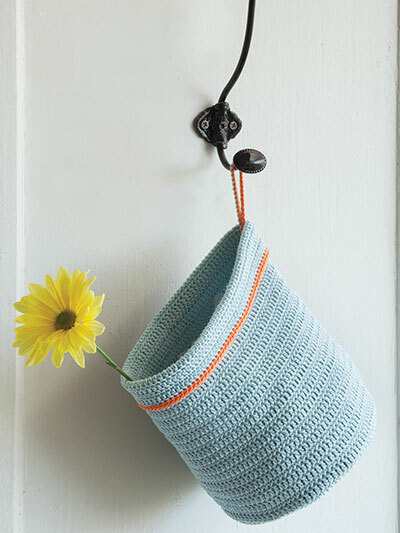 I have so many things I want to do with these as well as filling them and giving as gift baskets. 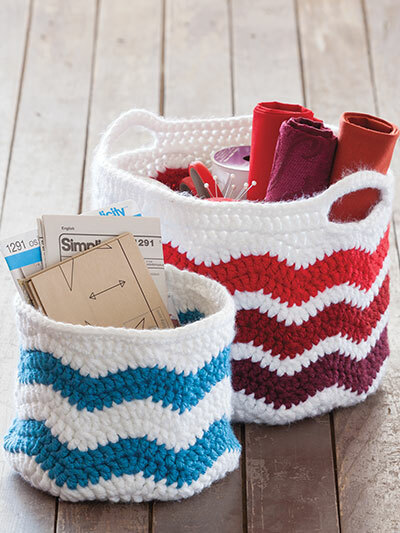 These baskets make great craft sale items, and simple to make. 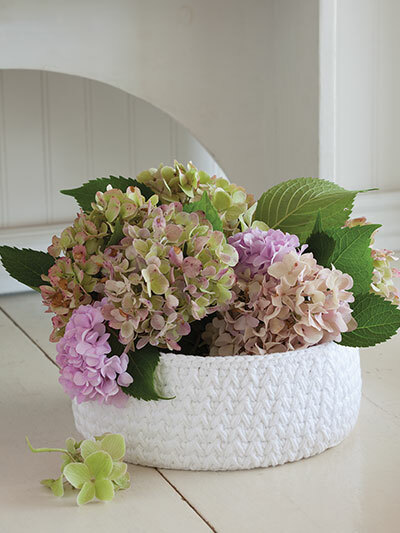 I have enjoyed making these baskets!!! 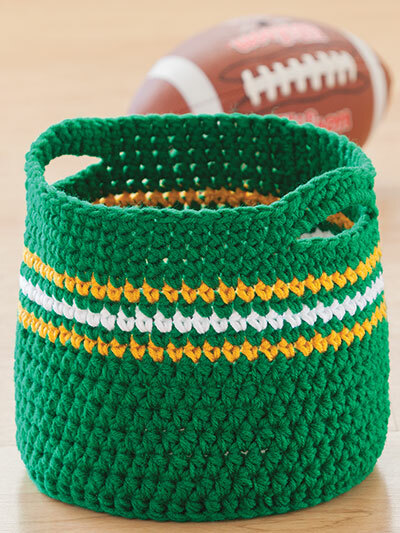 It is So much fun making them!!! Very awesome patterns! 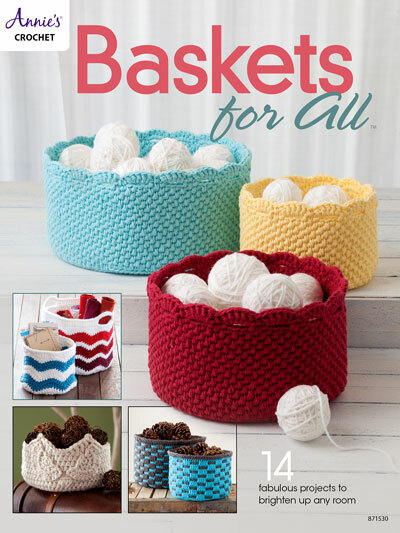 I have grown a great passion for making baskets now because of these easy to follow instructions! They add such personality to my home!